After showing you the beauty of Sorrento in pictures, we’d like to take you on a culinary tour of the town, a prime foodie destination. Sorrento is beautiful. No, it’s jaw-droppingly stunning. One of those places whose first sight you remember as long as you live. It was built atop vertical cliffs, dominating a view that stretches all the way to Naples and Mount Vesuvius, across a bay of turquoise transparent water. 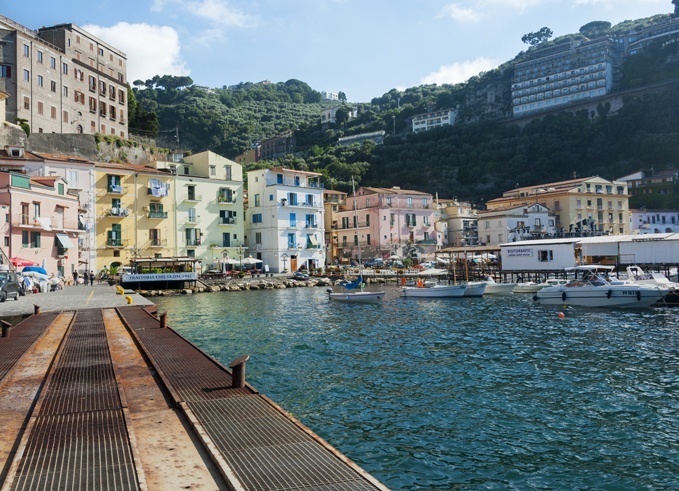 Not only is it beautiful, Sorrento is also a great destination for foodies. The combination of great local produce and traditional cooking techniques makes Sorrento a place where you could quite easily spend your time sampling one restaurant after another. 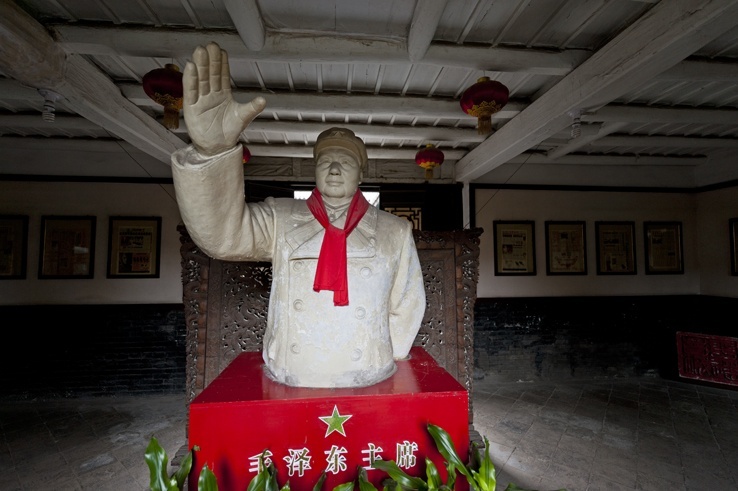 The challenge is finding the real local favourites, in a town overrun with tourists. A food tour is a good option; we opted for Viator’s Sorrento Food Tour, led by Californian expat Tamara, a sommelier and culinary food guide with a great passion for Sorrento and its food. The tour included eight stops, each with a taste (or more than one) of local products. The first stop was a patisserie, where we sampled sfogliatelle, a traditional Neapolitan shell-shaped pastry filled with custard. This particular variety, sfogliatelle Santa Rosa, came with a glaced cherry on top. 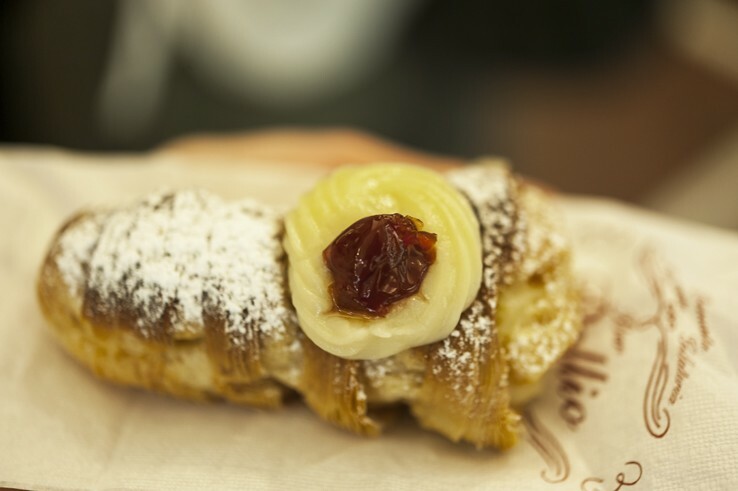 The name comes from Convento Santa Rosa near Salerno, where this type of sfogliatelle was invented. 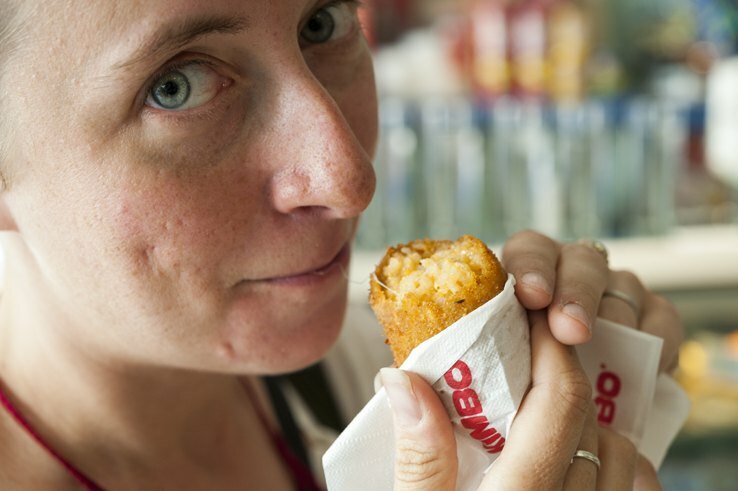 Sorrento is certainly not the only place in Italy to offer rice balls as a street snack. 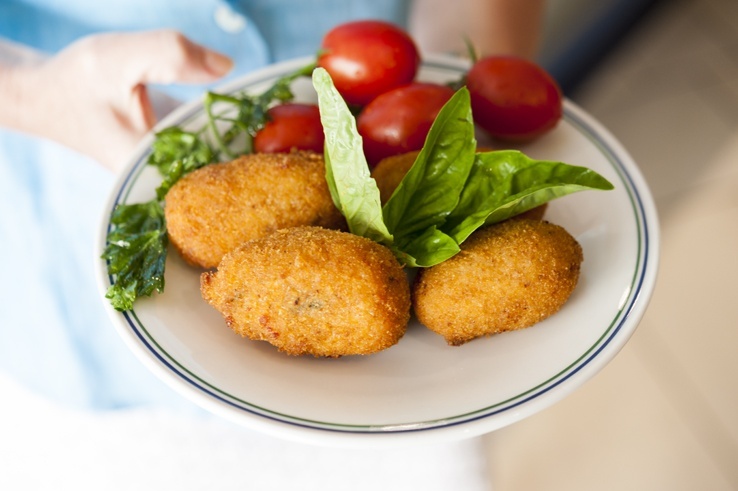 In Rome they are known as supplì; Sicily is the birthplace of arancini, named after their bright orange colour. Tamara took us for a taste of pall’ e riso, the Neapolitan version, smaller than arancini but just as tasty, with melted mozzarella and a tomato and basil sauce. 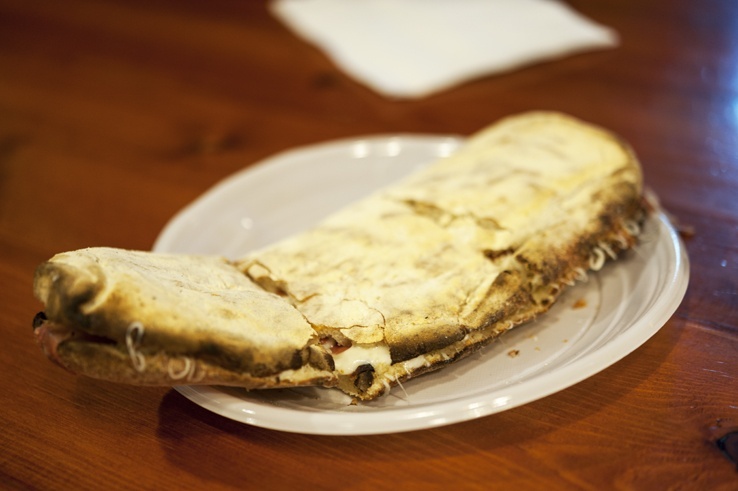 Tamara fell in love with Sorrentine food after a taste of saltimbocca, a pizza crust oven-baked sandwich stuffed with Parma ham and mozzarella. It was meltingly delicious, the wood-fired oven lending a deep herby flavor to the bread, complemented perfectly by the sweetness of Parma ham and the faint saltiness of mozzarella. Lemons are perhaps the best-known Sorrento export. 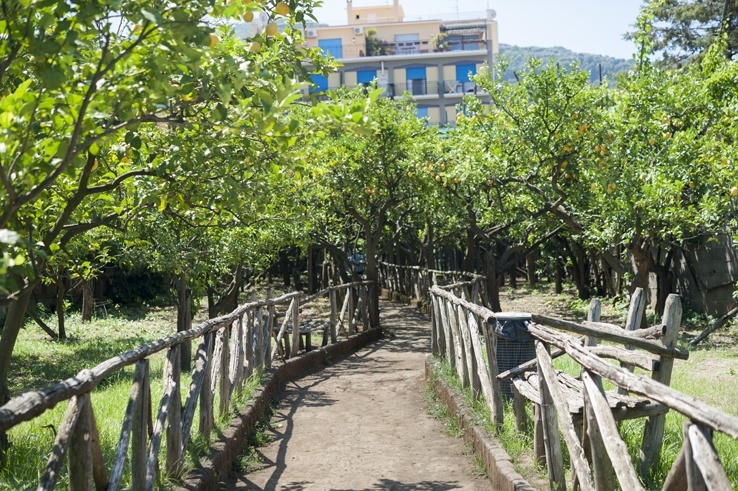 Proximity to Mount Vesuvius gifts the area with fertile volcanic soil, perfect for growing citrus. Tamara took us for a tour of Fondo l’Agruminato, a three-acre citrus grove owned by the city council. We stopped at a small hut for some liqueur tastings; the first was limoncello, with a delicate sugary-tangy flavor. It was hands-down the best I’ve ever had, even better than the one I make myself (even though it hurts to admit it). The tasting continued with the orange version of limoncello, nocino (made with fresh walnuts), liquorice spirit, and finocchietto, made with locally picked fennel. Limoncello is definitely delicious, but the best way to enjoy lemons is al naturale. When we were given a slice of lemon drizzled with sugar, I expected the usual face-crunching sourness; what we got was a plump, sugary morsel, sweeter than lemon pie and with a refreshing tanginess. Tamara said that these lemons can be enjoyed whole, like an orange; I wanted to reach for the closest tree and grab some, but more tastings awaited, so I held off. 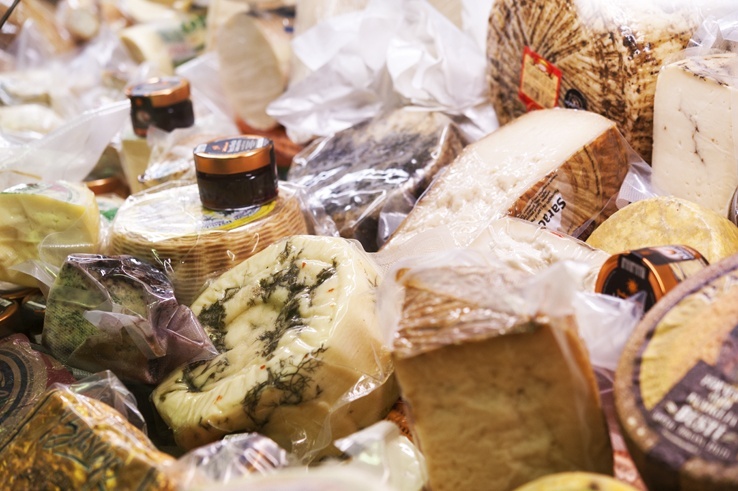 If you’ve visited Italy before, you’ll know that a typical Italian starter is a platter of cured meats and cheeses. Lunchtime was approaching, so Tamara led us to a local deli for our very own antipasto. We tried two varieties of salami; Milano, delicate and finely ground, and Napoli, chunky and punchy with garlic and pepper. Not unlike the two cities. The most memorable taste was buffalo ricotta, creamier than whipped cream, drizzled with local chestnut honey. This was the real thing. I mean, the real real thing. 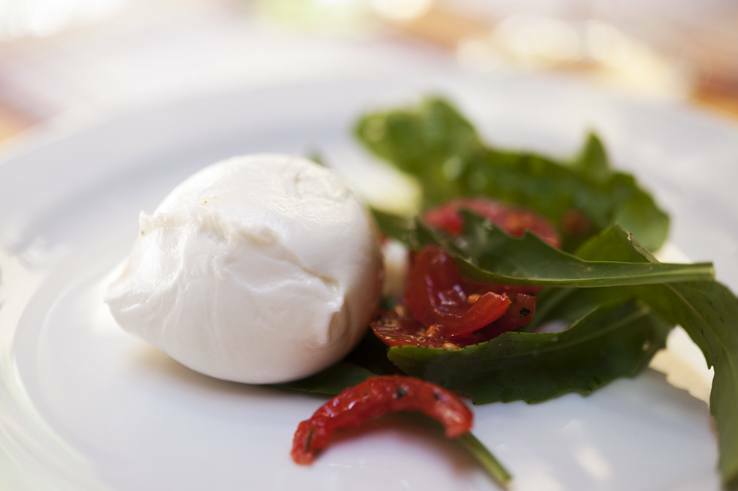 Mozzarella is not a food that travels well, so the best way to sample it is going straight where it’s made. We went to a small backstreet restaurant; the mozzarella was served at room temperature, as the best way to kill its flavor is putting it in the fridge. And what a mozzarella it was! Silky outside and creamy inside, I could have easily eaten six or seven. 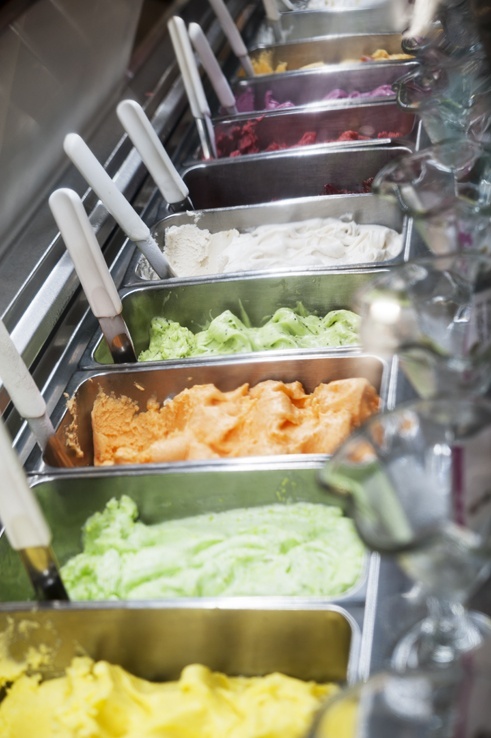 There was only one way to round up our food tour; gelato. The gelateria we went to had a couple of dozen flavours, from standard chocolate and pistachio to some unusual combinations. I opted for profumi di Sorrento, mixed citrus with chunks of candied fruit. Tasty and refreshing. We would like to thank Tamara and Viator for having welcomed us on this food tour! Ooh anything with food in its title draws me in! Everything looks soooo delicious here, I can’t even pick my favorite! I swear almost everything you ate here is one of my favorite foods! Saltinbocca is the only thing I’m not familiar with. I’d love to try that!